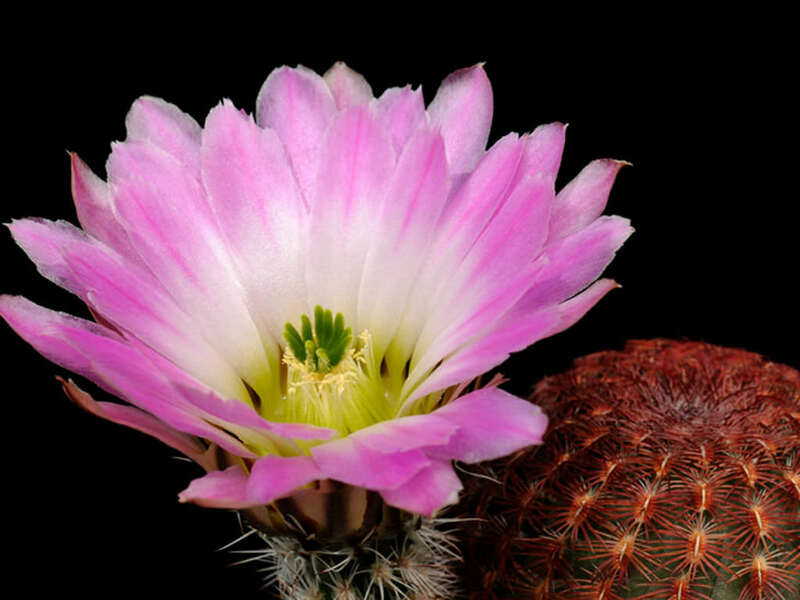 Echinocereus pectinatus is a species of hedgehog cactus up to 14 inches (35 cm) tall. It commonly remains single but old plants, sometime branch and form a a loosely clumped cluster. The stem is usually solitary, globose to cylindrical up to 5 inches (13 cm) in diameter almost hidden by the short interlocking spines. 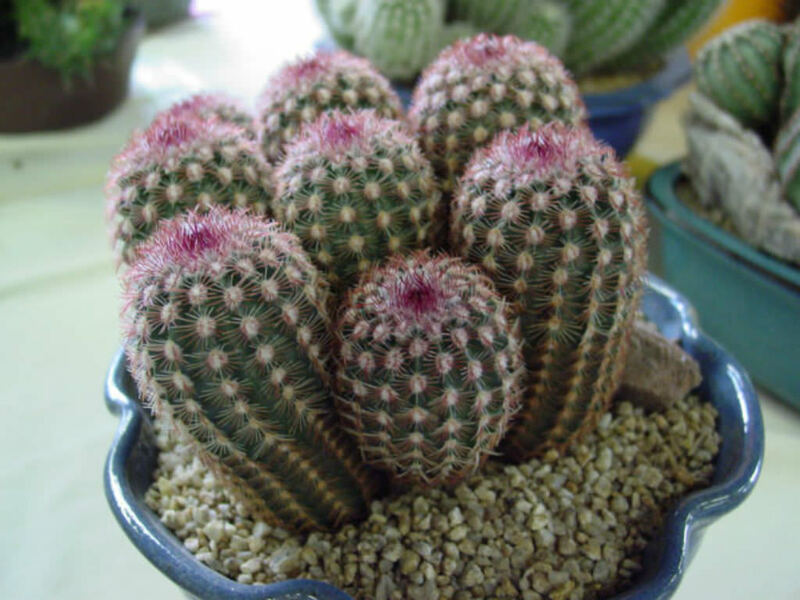 The spines are yellow, pinkish or brownish. 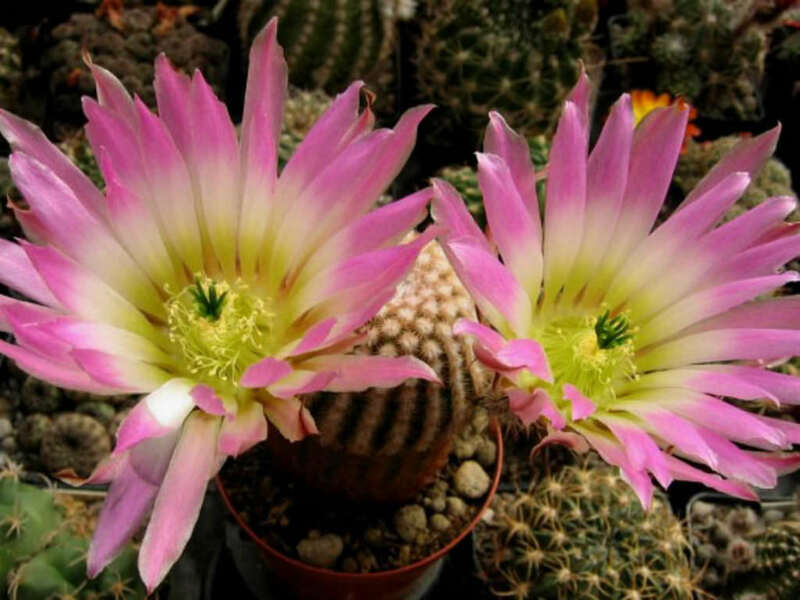 The flowers are funnel-shaped, borne on the sides of the stems, diurnal, intense pink (but also magenta, lavender or yellow to near-whitish) with a white-greenish base, up to 3 inches (8 cm) long and in diameter. 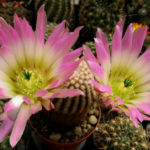 Echinocereus are slow growing cactus that should only need repotting every other year or so. 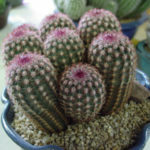 You can prolong the time to repotting by removing plantlets and potting them up in their own pots. 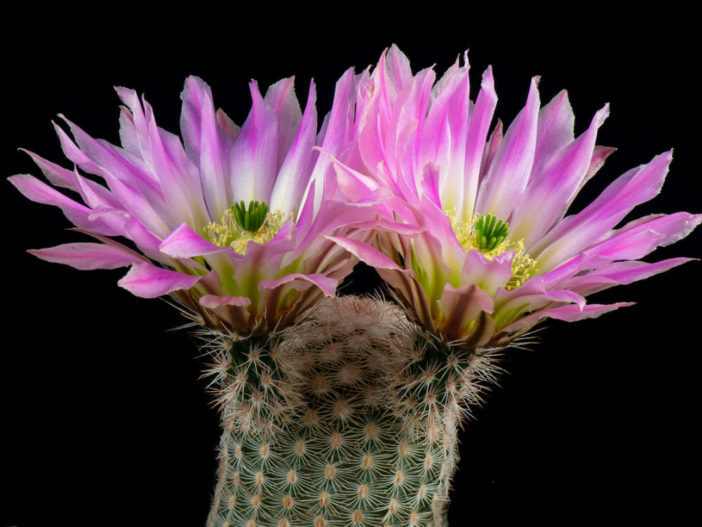 When repotting a cactus, carefully remove it from its pot and knock away any clumped soil. 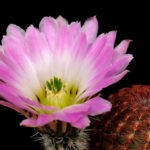 These plants tend to be shallow-rooted with weak root systems, so take care not to damage their roots… – See more at: How to Grow and Care for Echinocereus. Native to Mexico and United States.